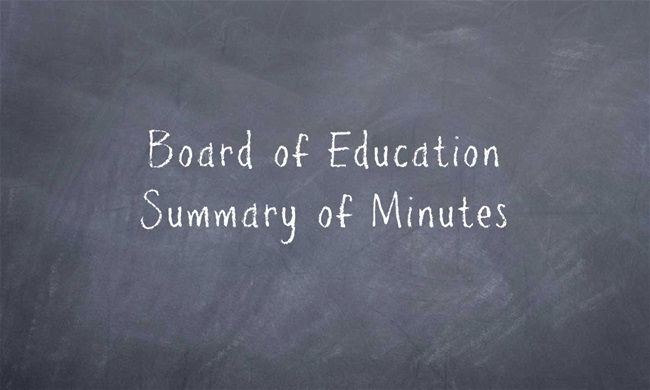 During Monday’s Board of Education meeting Superintendent Cox announced that the District will close the fiscal year with a balanced budget for the first time in a decade. The last balanced budget occurred in 2008, just before the fiscal crisis faced by the State of Illinois. This year the District finished the fiscal year with a positive result of operations in the amount of $489,079. In doing so the operating fund balances grew by $531,461. The Education Fund is where the greatest gains were made. The passage of the Evidence Based Funding Model brought additional revenue to Staunton Schools as the District sat at 58% of adequacy in terms of funding from the State. Additionally, Mandated Categorical Payments (MCATS), which were lagging behind in recent years, were caught back up with the District receiving 5 payments in FY18. The Board has had a goal to balance the budget but met that goal with tempered enthusiasm. Years of inadequate funding have resulted in many reductions to expenditures that have had significant impacts on the District. As stated by Superintendent Cox, “I want to commend our school community and especially our teachers, staff, principals, and students for weathering what has been a very difficult storm over the last decade. It is their commitment to teaching and learning while expecting the best of themselves and each other that helped our District to continue to lead, challenge, and achieve.” Superintendent Cox further recognized the Board’s commitment over the last three years in looking for efficiencies to enhance expenditures while having minimal negative impact on students, implementing strategies to raise revenue while being sensitive to taxpayer needs, and exercising patience. “I’m thankful to the Board of education for having a vision and for allowing me the opportunity to advocate for a new funding model. Without this, our District would be in dire straits today,” Cox stated. Full details of the financial report may be found at https://bit.ly/2uu0EMr. “We are excited to welcome so many talented individuals who are new to our District and for our familiar faces who are filling new roles. Our schools are fortunate to have outstanding teachers and staff who are committed to giving their best for our students,” Cox stated. The Board also recognized the retirement of Sandy Cool as a secretary as Staunton Elementary/Junior High School, the resignation of Liz Thakcrey as a math teacher at Staunton Junior High School, and the resignation of Riley Canania as a paraprofessional. The next regularly scheduled meeting of the Board of Education will be held Monday, August 20, 2018 at 7:00 p.m. in the Unit Library.